Gentle Hatha yoga class designed to support rebuilding of strength and agility for students with chronic pain or who simply need to move mindfully. Students may practice on the floor or chair as needed. Lots of modifications offered! 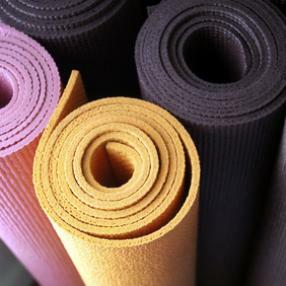 All Levels Yoga classes are designed to accommodate a range of ability levels, from beginner to advanced. Classes include standing, balancing, and seated poses that challenge students whatever their experience or ability, as well as backbends and inversions. 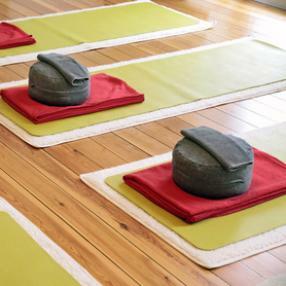 Time will be included for chanting and meditation as well as final relaxation. Come start your day with us! This class will work on building strength and flexibility to allow each student to explore their physical edge. Building your basic strength is essential to exploring your physical limits, and to learn how to push past them. Explore your body, mind and soul through this class! Open to all levels of experience. If you like (or don't like) Bikram, you'll love what we have don't with MYBO's Hot Hatha Series. The foundation and format is similar to Bikram Yoga in that it is practiced in 103-105 degrees with 50-60% humidity and begins with a gentle warm up then balancing series, spine series and floor series. We begin and end with breathing technique. Hot hatha focus's on endurance, focus, precision and breath. However, MYBO Hot Hatha adds variety, diversity and yoga asana to that practice. We aren't militant, don't yell and don't follow the same dialogue. 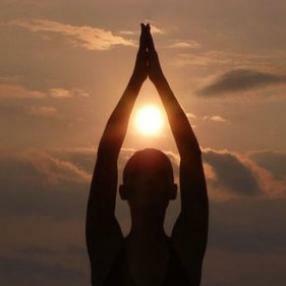 You will learn something new from each teacher about your mind, body, spirit, asanas every time you take a class. Come heal your back, shoulders, knees and ankles, realign your joints, tissues, ligaments, tendons as well as purge out toxins with the generous sweat created in class which initiates weight loss and body composition evolution. Take as many rest breaks as you want, drink water as much as you want between poses, and, most importantly have fun, detox, sweat it out, and get rid of your physical and emotional limitations and baggage through this practice. For intermediate students who have a good understanding of the yoga poses and the principles of alignment. This practice focuses on deepening the student's understanding of body awareness by exploring more advanced poses: , revolved standing poses, twists, inversions, backbends and arm balances.